The Toronto Real Estate Board reported 5,921 residential transactions in July 2017. This result was down by 40.4% on a year-over-year basis, led by the detached market segment – both in the City of Toronto and surrounding regions. While sales were down, the number of new listings reported were only slightly (+5.1%) above last year's level. 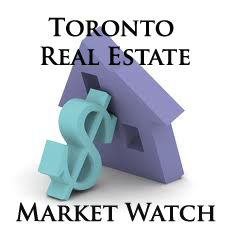 A recent release from the Ontario government confirmed TREB's own research which found that foreign buyers represented a small proportion of overall home buying activity in the GTA. Clearly, the year-over-year decline we experienced in July had more to do with psychology, with would-be home buyers on the sidelines waiting to see how market conditions evolve. Summer market statistics are often not the best indicators of housing market conditions. We generally see an uptick in sales following Labour Day, as a greater cross-section of would-be buyers and sellers start to consider listing and/or purchasing a home. The MLS® Home Price Index (HPI) Composite Benchmark price was up by 18% on a year-over-year basis. However, the Composite Benchmark was down by 4.6% relative to June. Monthly MLS® HPI declines were driven more so by single-family home types. The average selling price for all home types combined was up by 5% year-over-year to $746,218.